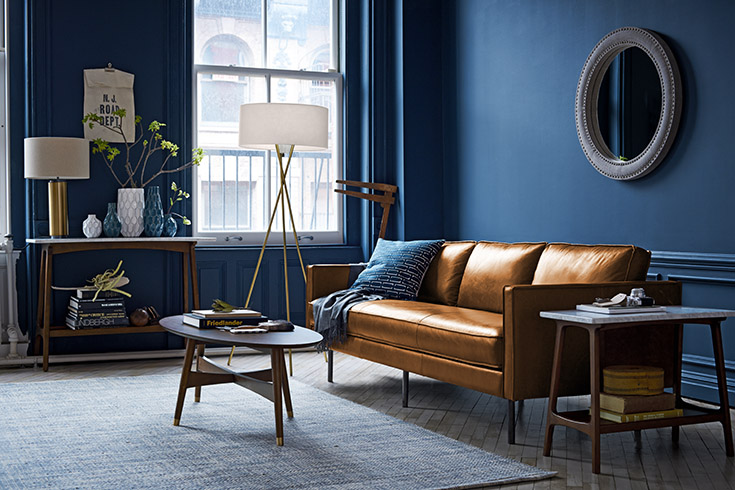 I love the new trend of dark grey and blue walls. Using these colours can bring a vibrancy and drama to a room, and make colours ‘pop’ when paired up with them. This is why they look so great in particular adorned with paintings and photos, because they make the colours really stand out. 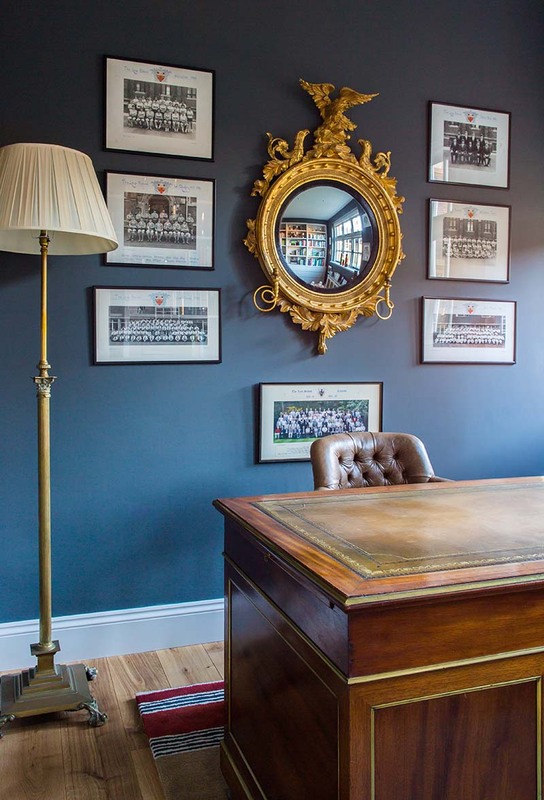 We recently used a fantastic dark blue/grey for the walls in a clients study. He had a collection of old school photos, an ornate gold mirror, and an antique dark wood desk and these needed a dramatic backdrop. They just would not have looked the same against a neutral background. We paired this colour with a light grey for the woodwork, joinery and ceiling as using white would give it an almost nautical feel which was not the look we were going for, and a light grey was softer as it was not such a dramatic contrast. My client initially had concerns that as this room wasn’t a light room (it was North facing) that putting a darker shade on the walls would make it feel even darker and may feel oppressive. But in fact the dark grey gave it the drama that it was lacking, and embraced and enhanced the character of the room rather than fight against it. 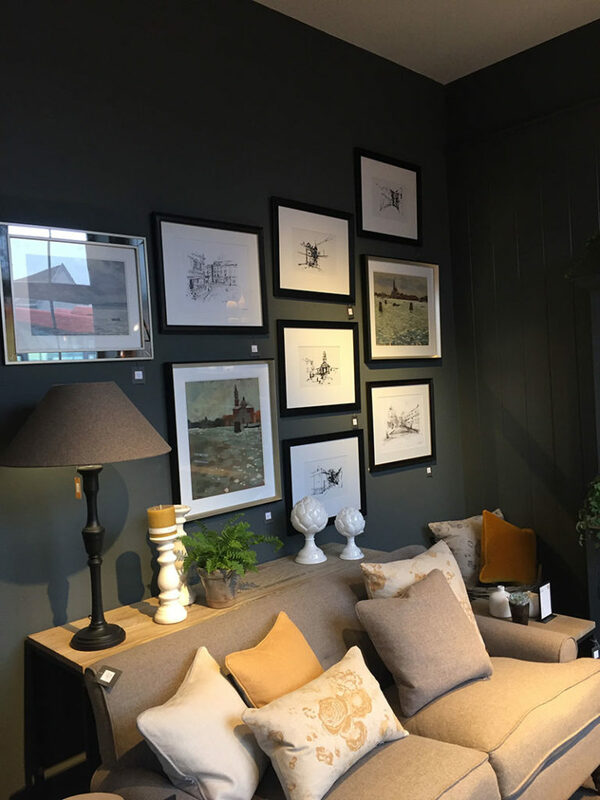 However, lighting is essential with a dark wall colour to enhance its dramatic nature, and we installed great directional down lights in the ceiling to light up the areas we wanted to draw attention to such as the desk, pictures on the walls and the new joinery. An antique floor standing lamp brought a comforting glow to one corner, and my client loves and now uses the room which had stood unused for some time. Rather than picking out the woodwork, which is a traditional way of decorating, another option is to paint all walls and woodwork the same colour. It prevents your eye from being drawn to the change in colour between wall and woodwork, making it more of a backdrop to the objects in the room which your eye is drawn to instead. Dark navy and grey also looks great paired with green, making it work beautfully if the room over looks tree tops or the garden as your eye is drawn to look out of the window. 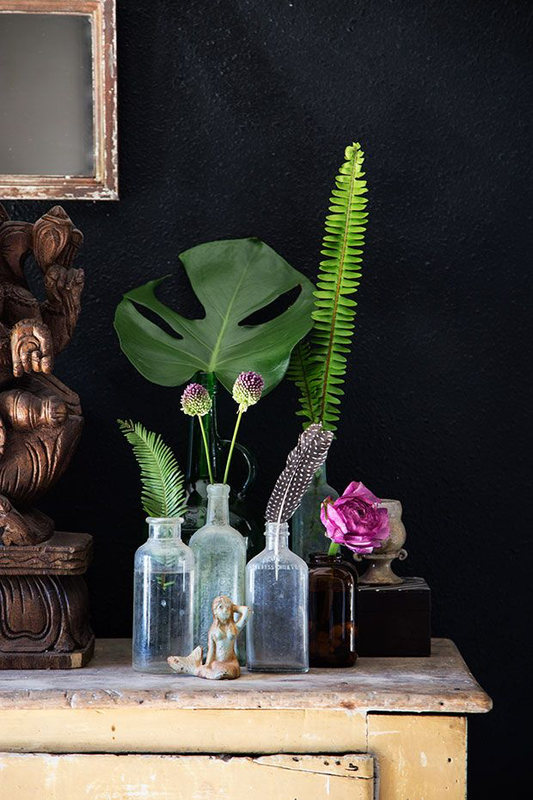 Alternatively buy some indoor plants or foliage to dress the rooms to add that dramatic hit of green. 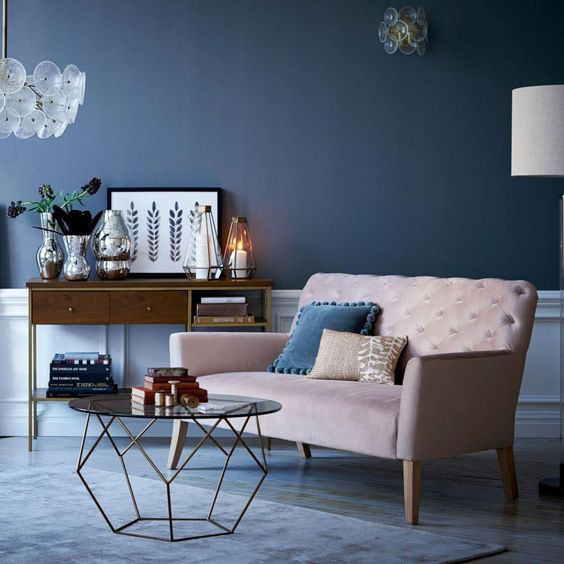 Wood, leather, and gold look very grand against these darker shades, however it also looks great when paired with blush pink and shimmering chrome and glass for a ‘prettier’ more feminine take on it. 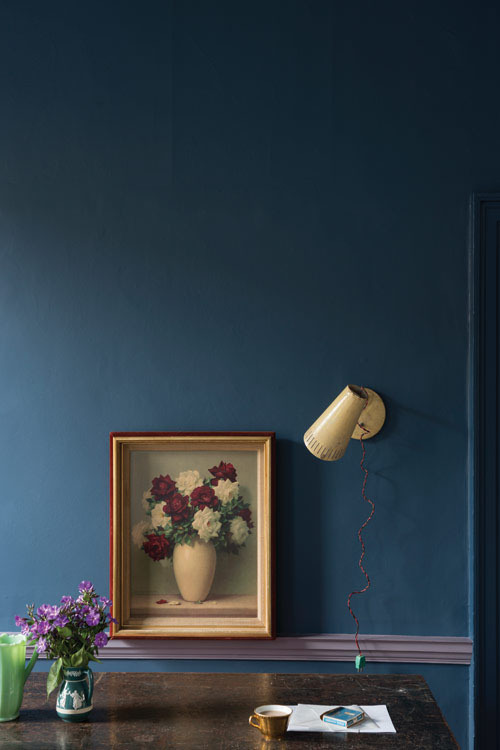 I recently bought a chaise sofa in blush pink and will be painting at least the wall behind in either Farrow and Ball Stiffkey Blue, or Neptune ‘Smoke’… I can’t decide as both are beautiful shades. 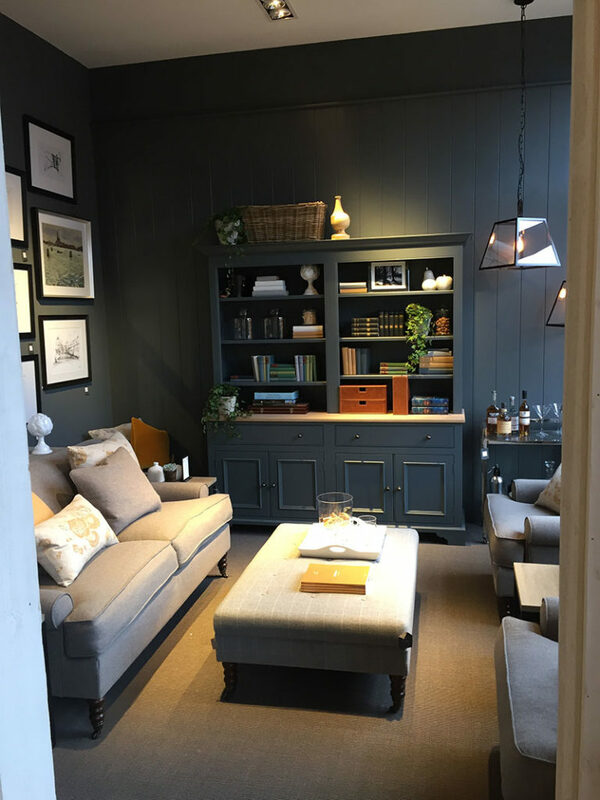 As you can see from the photos taken whilst visiting the Neptune Show room a couple of weeks ago, this colour works well in a traditional setting as well in a contemporary one. If you are nervous about using these colours, you could start by using them in your hallway rather than in your living room or bedroom which will not only give you a dramatic entrance, but will make the other rooms feel brighter as you walk through a dark space into light. As the hallway is a transient space which you pass through rather than live in you should not tire of these bolder shades too quickly. The great thing about paint it can completely transform a room, but also if you do not like it, it is not the end of the world to change it, so I encourage you to give it a go.